What do we associate with Italy? Most frequently with the sun, aromatic herbs and dishes and warm climate. Is it possible to impart Italian style to interiors of our houses and flats? Yes, it is! All you have to do is focus on some elements. The easiest way is street photo wallpaper. First and foremost, an Italian style flat should be bright and spacious. 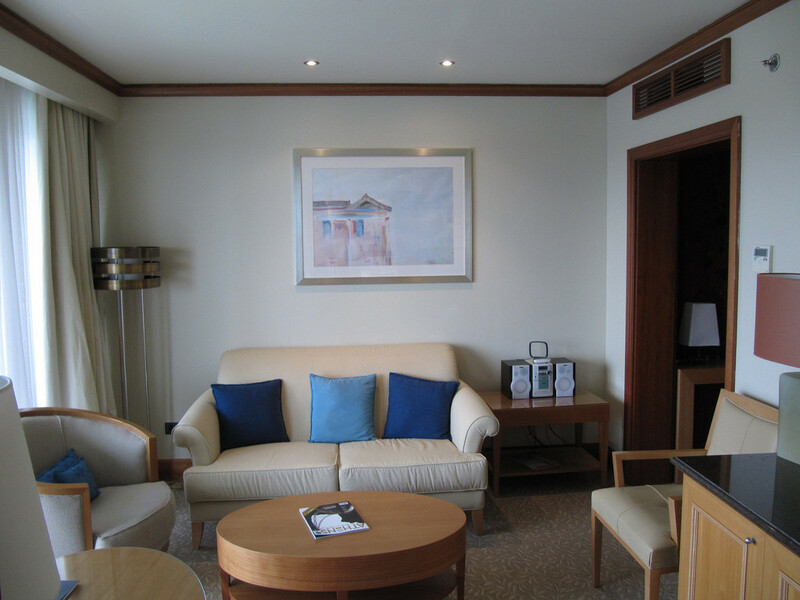 Light – that’s the most important element, which should dominate in a room. Even if we do not have big metric area at our disposal, we can arrange our room in a way that will make it look optically bigger and more spacious. In the first place – big bright windows. They should let plenty of light into the interior so let’s forget about sophisticated window arrangements, which look impressively, but make the interior smaller and gather dust. Bright, subtle blinds or white curtains made from light and airy materials will best suit Italian style. A windows should be decorated, not covered. Italian style focuses on white colours and wood. A wooden floor or table will greatly harmonise with white walls, furniture or lamps. Blue shades will be a great addition – azure, sky-blue and sapphire blue. The brighter the colours, the greater the arrangement effect. With such colours, the interior will be light, spacious and sunny. Even in the middle of winter, when there is not much sunlight, our living room will be friendly and sunny. The white colour doesn’t have to be austere and cold. 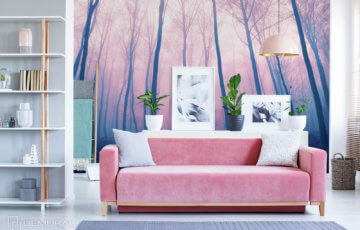 Let’s take a closer look at white and pastel walls. They may appear to be a little too monotonous. 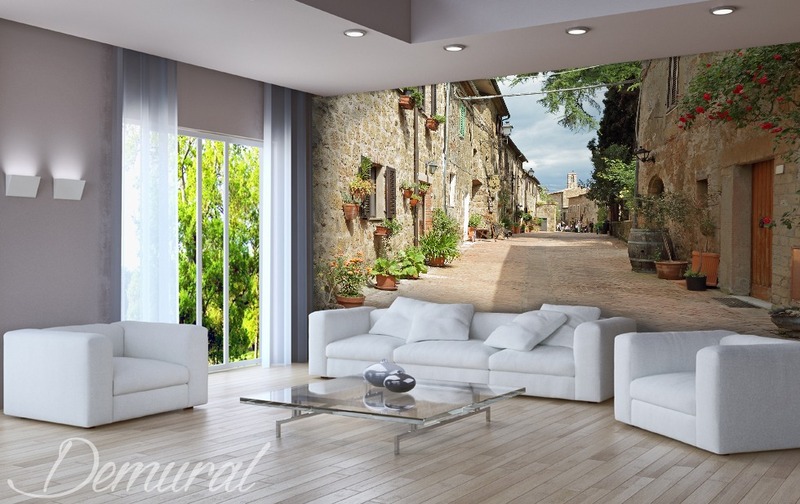 It’s an opportunity to let your imagination run and create an atmosphere of Italian towns, promenades and cafés in your own living room or kitchen. Good quality street photo wallpapers will be an excellent choice (here). They merge into the interior arrangement. 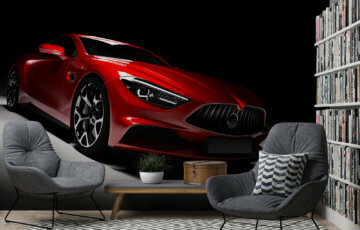 It’s worth to choose a wall which stands out and is the most empty – after all, it doesn’t make any sense to put effective photo wallpapers on walls which are covered by furniture. Which photo wallpaper should you choose? A great solution is a photo depicting a view on a beach and a sea or on charming houses and cobbled streets. Streets give a particularly brilliant arrangement effect. 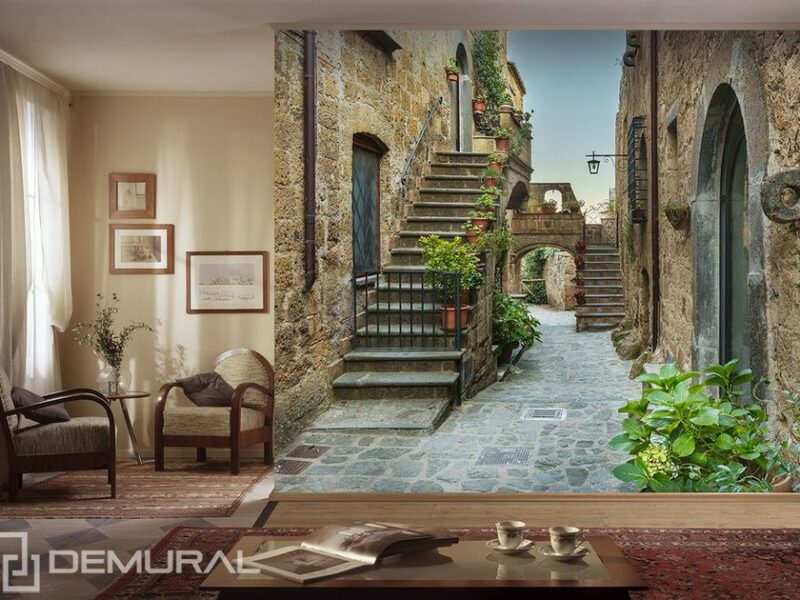 At first glance, it’s hard to see where a room ends and a photo wallpaper begins. The effect is so realistic that it encourages you to get deeper into the street. 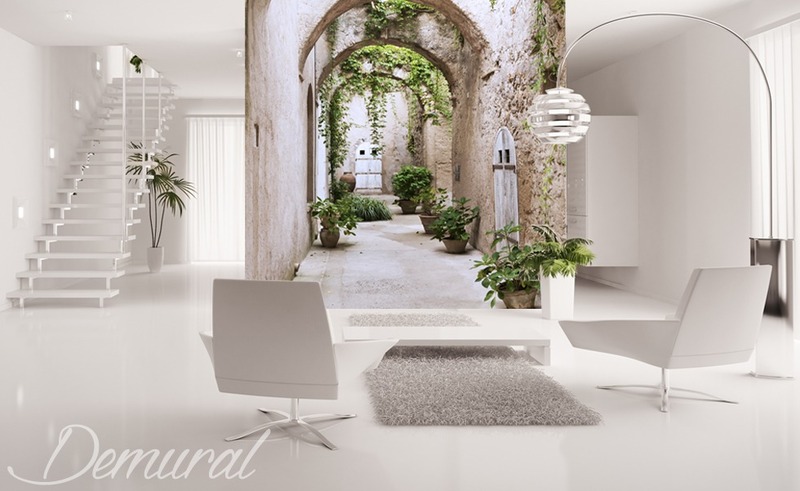 Thanks to such a photo wallpaper, every interior, even a small one, can be optically enlarged. Of course, let’s remember that such a photo wallpaper is a decoration itself and doesn’t need additional adornments. Let’s be sure that a part of the interior with the photo wallpaper is arranged in a minimalistic way, without any additional elements. The more additional stuff, the poorer the effect of the street photo wallpaper.